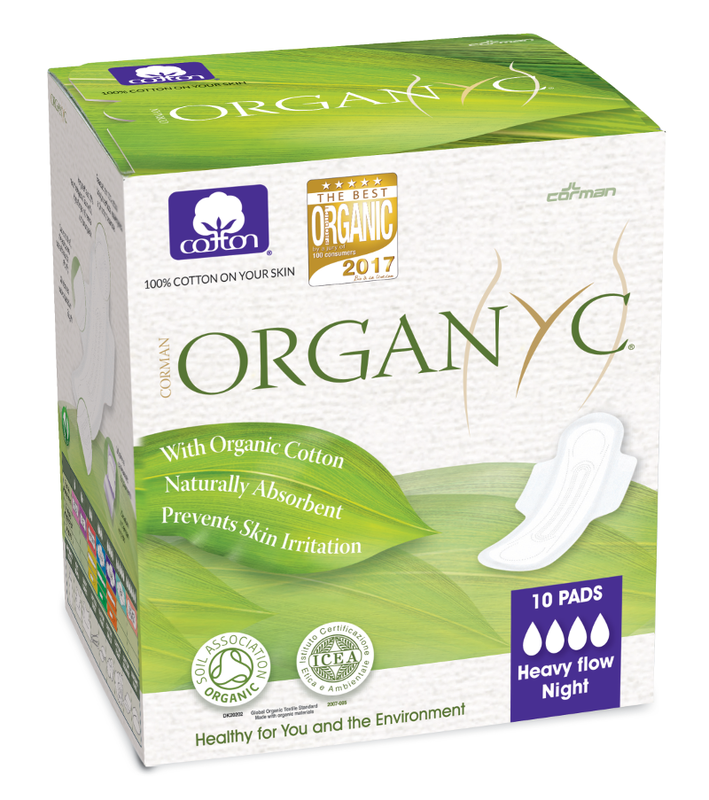 Organic Flat sanitary pads with protective wings by Organyc. 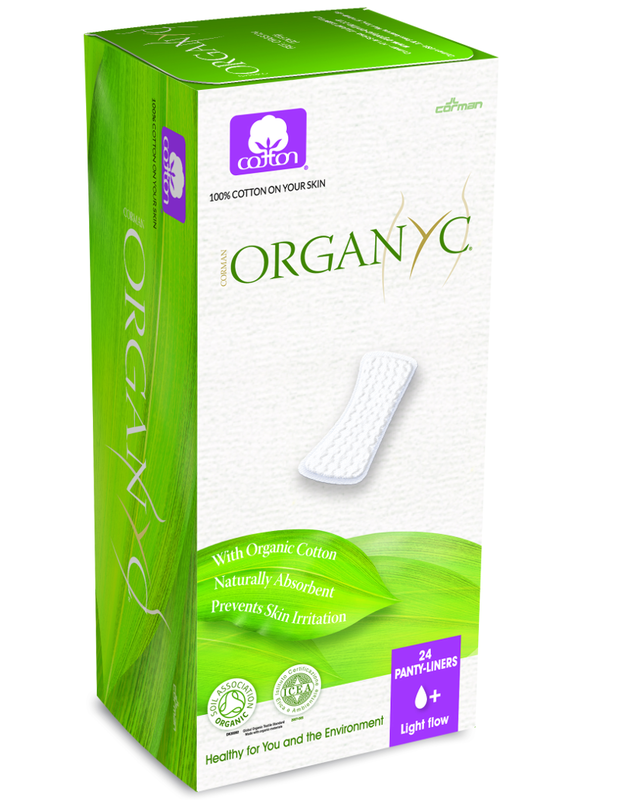 100% organic cotton outer sheet and inner core. For super flow. Naturally highly absorbent. 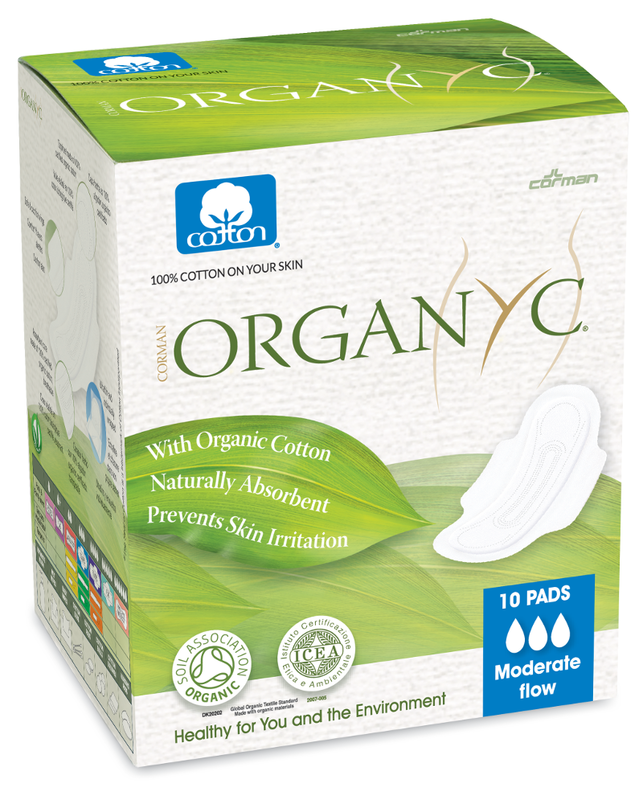 Absorbency compatible with Always and Tampax.